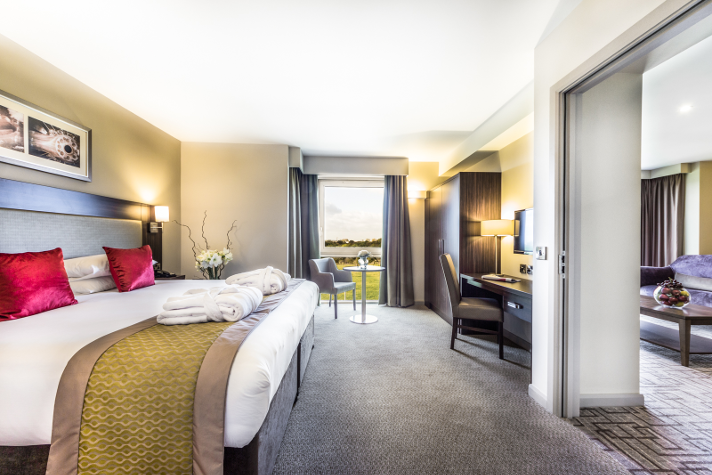 The Heston Hyde hotel is a brand-new 4-star hotel at Heathrow airport, specially designed to give you a relaxing experience before you embark on your holiday. 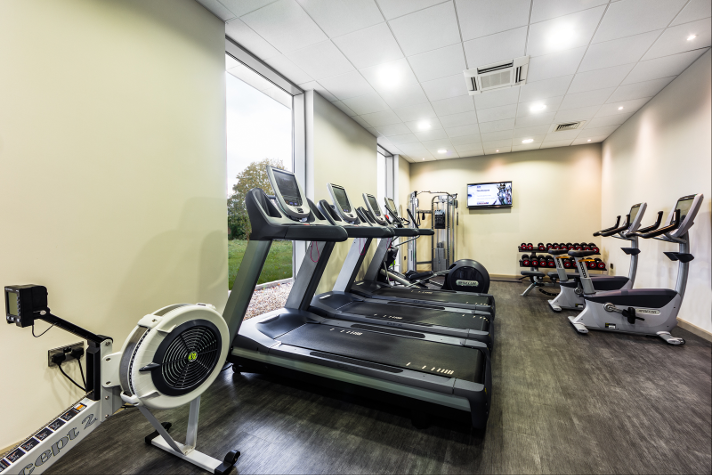 You can work out at the gym, go for a leisurely swim in the pool or warm up in the sauna. If you want to really go all out, head to the hotel's spa, where you can pay a little extra for some pampering treatments. 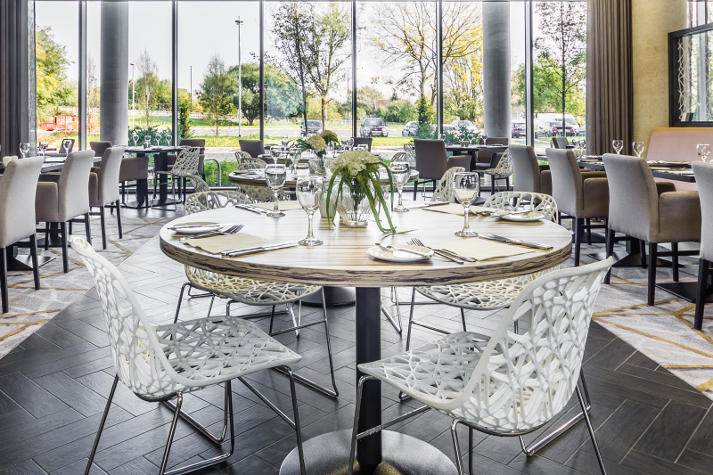 After all that, you're sure to be hungry and where better to eat than at the hotel's very own Glasshouse restaurant? The restaurant serves a wide selection of international dishes, so there is something for everyone on the menu. 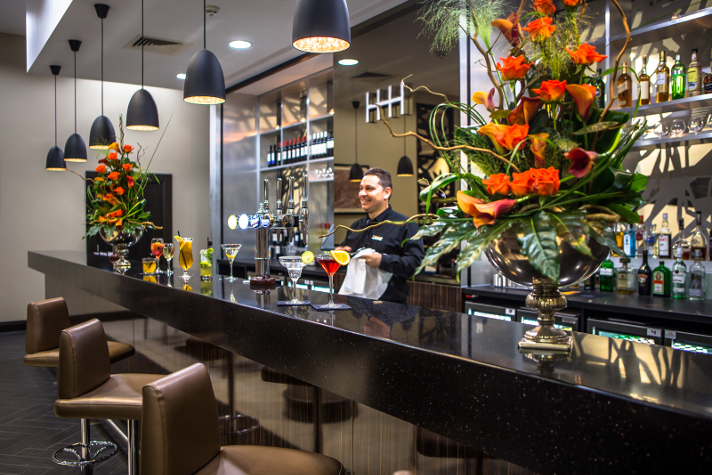 If you fancy a few drinks after your meal, you can while away the evening at the bar before heading to bed. In the morning, it's just a 15-minute taxi ride to the terminal to catch your flight. If that's not enough, for added convenience, we offer parking with this hotel too! 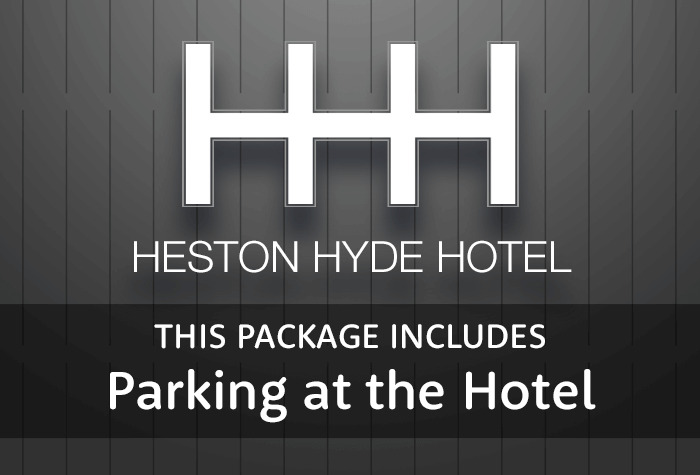 Heston Hyde hotel is the ideal choice for your Heathrow airport hotel. It offers you plenty of things to do and is a great way to lose some of that pre-flight tension before you begin your holiday. Not too easy to find in the dark. Bathroom a bit basic no shaver outlet but otherwise good with plenty of parking. Will consider for next time providing we don't need an early flight. Great hotel for overnight stay for Heathrow. The staff were all very friendly and helpful. Room was quiet and very comfortable. Breakfast buffet was excellent. great value and you leave your car on site. Use the local A1 taxis for best value to the airport. Our customers rated Heston Hyde on average 8/10 (15 reviews). Read Heston Hyde reviews. With a gym, sauna, swimming pool and parking included, this 4-star hotel is the perfect pre-holiday treat. The Heston Hyde is a delightful 4-star hotel designed to relax and entertain you before you begin your holiday. From the moment you walk in, youll be blown away by the large lobby, with its striking, yet elegant, decor and sleek, modern furnishing. You can check into this brand new hotel from 14:00, and when you get here, all you need to do is park up and walk to reception to check in, fill in a parking form and book a transfer taxi for the next day. Your car will stay at the hotel while youre away. Once youve checked in, head to your bedroom to unpack and unwind. 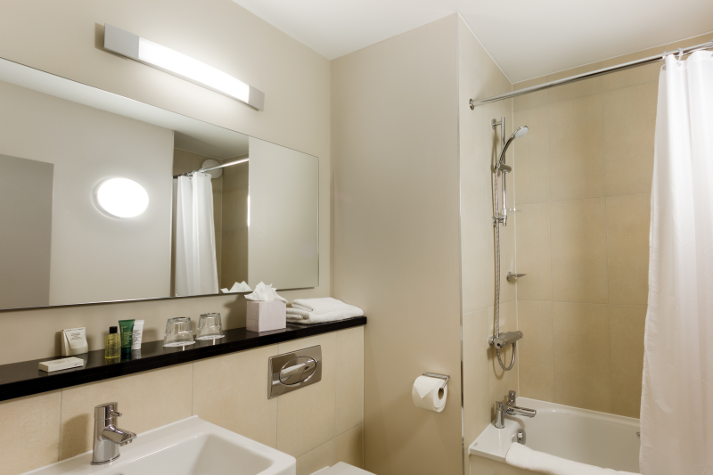 Every room has its own bathroom, a TV and free wifi, as well as tea and coffee, so you can have a cuppa while watching your favourite shows and checking your emails! 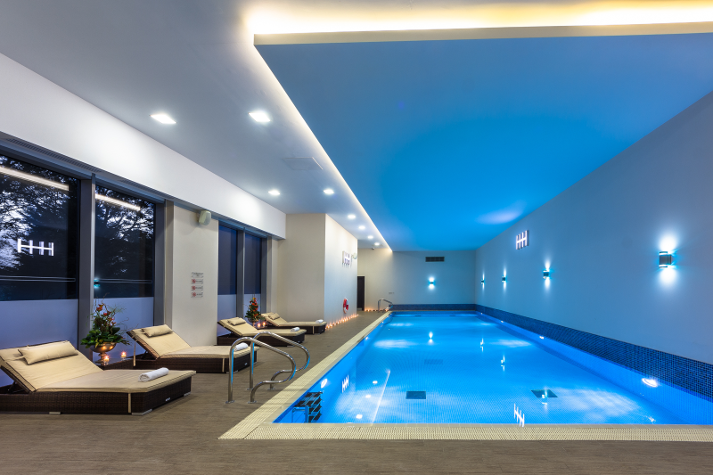 If youre itching to burn some calories, head to the gym for a workout and follow it up with a swim in the hotels pool. 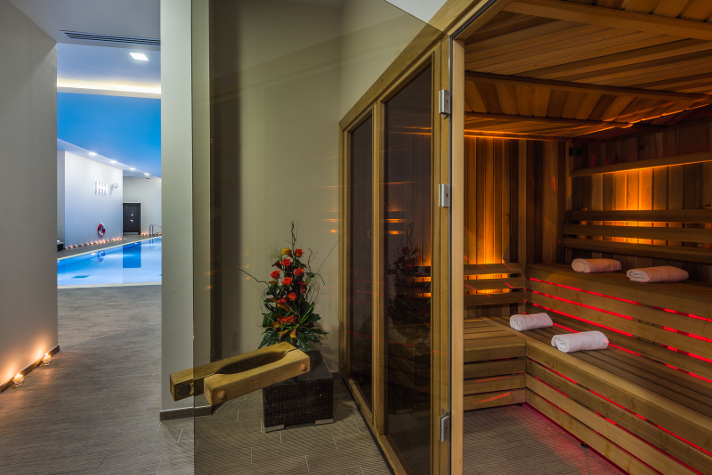 On the other hand, if youd rather take a load off your feet and indulge in some more relaxing activities, you can always treat yourself to some time in the sauna and spa. When hunger starts to rear its head, go to the hotels Glasshouse restaurant for some delicious international dishes. The relaxed and modern atmosphere really adds to the exquisite meals, and the varied menu really does have something for everyone! Dinner is served from 18:00 to 22:00 every evening. Fancy a few drinks and maybe a few snacks? Then head to the Atrium bar, where you can enjoy a pint or a cocktail and nibble on a selection of light bites. The bar is open from 10:00 until midnight from Monday to Saturday and it closes at 23:30 on Sunday. When youre ready to turn in for the night, make your way back to your room, curl up on your soft bed and have a well-earned, peaceful nights sleep. Triple rooms include a double or twin and rollaway bed. Family rooms include two interconnecting rooms or one bed suite with rollaway and sofa bed. Child age 12 and under. The next morning, head back to the Glasshouse restaurant and enjoy a hearty English buffet breakfast, with a few continental options included. Breakfast is available from 06:30 to 10:00 every morning. When it's time to catch your flight, hop in the taxi you booked when you arrived and you'll be there in around 15 minutes. The taxi will cost between £15-£25 depending on size of car needed and number of people. Looking for a hotel that gives you luxury, delicious food and even parking, then book this package today and you're guaranteed the lowest price available. Disabled facilities The hotel has 15 accessible bedrooms for disabled guests. You can get to the airport by taxi. Youll need to book it when you arrive, but itll get you there in around 15 minutes. The taxi is available 24 hours a day and will cost you around £25. - You'll need to get to the hotel by taxi. - Once you've got back to the hotel, go to reception to get your keys. - Then, pick up your car and drive home. When you've got to the car park and parked, simply hop on the transfer bus to the terminal. It runs every 8 minutes and takes just 15 minutes - and the best thing is, it's included in the price. Between 00:00 and 05:30, you'll need to ask for the transfer bus. Catch the transfer bus back from the terminal. As you leave the terminal, look for signs to the Long Stay car park, Bus Stop 6. Follow these signs to the ground floor where you'll see Bus Stop 6 and can catch the transfer bus back to the car park. Drive to the terminal you're flying from, anytime between 5am and midnight. There are different procedures for arriving and meeting your chauffeur at each terminal. Detailed instructions will be on your email confirmation. Call the car park when you've collected your bags, and your chauffeur will bring your car back to the terminal. Detailed instructions on where to meet your chauffeur will be on your confirmation email.